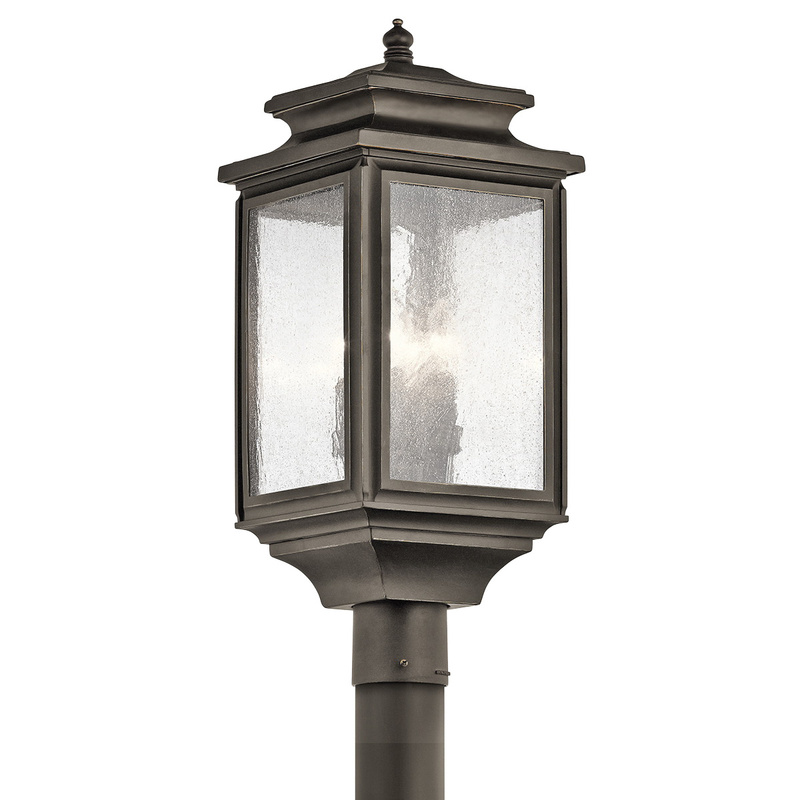 Kichler Wiscombe Park Collection 120-Volt outdoor post features aluminum construction with olde bronze finish. This post accommodates four type B incandescent lamps of 60-Watts. This outdoor post has candelabra socket and clear seeded glass shade. It measures 9-Inch x 23.25-Inch.